You may have read the book "Men are from Mars, Women are from Venus," or even the more recent one "Beyond Mars and Venus," both by John Gray, P.h.D. 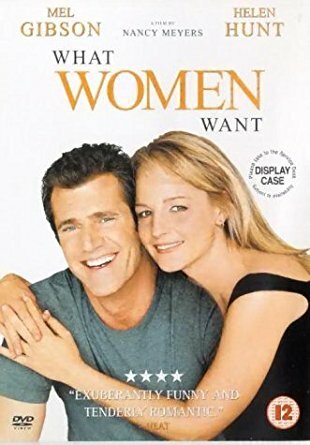 And I am sure you have watched "What women want;" laughing and crying at the love (or war) story between Nick Marshall and Darcy Maguire. What these books and movies teach us is that we think and see things differently as men and women. And although that is true, I believe that in the end we all desire to be listened to, appreciated, acknowledged, respected, understood, empowered, and loved [especially for our uniqueness]! We have such high expectations. And perhaps this gets us far in our career or even with personal goals we set for ourselves (e.g. losing weight after baby, planning our wedding, managing the household, etc. ), yet when it comes to our relationships these high standards can actually have negative consequences. Ladies we need to stop trying to control everything around us! The truth is - the only thing we can control is how we react to a situation. Now trust me, this is not easy and I am not writing this because I have perfected it. Believe me as I am writing this I hear my husband mimicking me in a soft feminine voice saying "do this, do that!" Yet the more we say these five things the more we are damaging our relationships. It means that we are expecting our partner to become just like us! Think about how it feels when someone is constantly looking over your shoulder and telling you what you aren't doing right. Do you feel love? Empowered? Freedom? Trust? Instead, what if we change our mindset and turn the expectations and high standards into what we are grateful for? Take for example, a discussion I had on this topic with a good friend who recalled conversations between her and her ex-husband. She would see him doing the dishes with the water full blast and high heat and her first thought was "why does he always waste water?" After a while she realized that her behavior was not attractive and that if roles were reversed she would be extremely upset with her spouse for making her feel like a failure. She then decided that going forward, when he was doing the dishes, she would just leave the room and thank him later for a job well done. 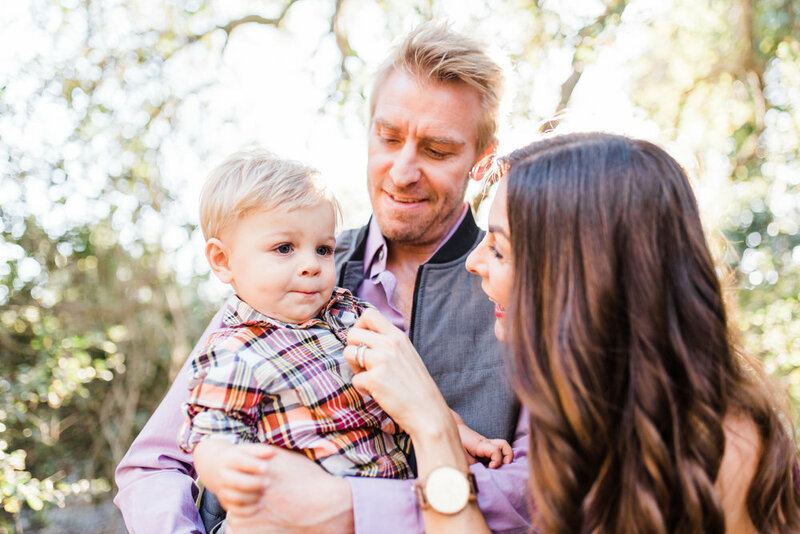 This story really inspired me even more to write this blog and to make the necessary changes to my own behavior in order to create a healthier and happier relationship and be a better role model for my son! So I decided to talk to other women about this and here are some tips we came up with to help overcome these unhealthy habits in your relationships! 1. Seek first to understand then to be understood. The 7 Habits of Highly Effective People by Dr. Stephen Covey is one of the first books I read after graduating college and before entering the workforce. One message which really struck me, and was likely a huge reason for success in my career, is Habit 5: Seek First to Understand, Then to be Understood. In fact, when I first started working in HR and was learning how to recruit, I remember my mentor saying to me "if you are doing 80% of the talking in an interview, you will walk out knowing what you already knew going into the discussion. Instead, be sure you are doing 80% of the listening. And for the 20% of the talking - make sure you are asking the right questions!" Even though I became super skilled at this in my career, I realized recently that I was failing at this with my hubby. Bottom line - ask the right questions and take more time to listen than be heard. Just like in my friend's example of her ex doing the dishes, she realized that by being grateful for the fact that he was doing the dishes was actually much more productive than starting an argument about what he was doing wrong. Positive reinforcement / affirmations seems to work on all mammals. For example, Tony Robbins actually wrote an article about this which really caught my attention, "STOP PUNISHING YOUR PARTNER: A POSITIVE APPROACH TO CONFLICT CAN TRANSFORM YOUR RELATIONSHIP." "Dolphins are inherently sensitive creatures. They are highly social, but if something happens that breaks their state, they can fall into a deep frustration. Now, research has shown that when a trainer wants them to step out of that frustration and perform for them, but chooses to do so with force and anger, the dolphin feels that energy and retreats even further. However, when the trainer implements “the jackpot” – I.e., taking an entire bucket of fish and dumping it on the head of the dolphin – the dolphin becomes so overwhelmed with pleasure and joy that it is able to break out of its depressive state. And when the dolphin begins to perform the way the trainer wants, the trainer immediately reinforces it. They never punish; they only reinforce. And when there is nothing there to reinforce, the trainer only seeks to create a little spark that ultimately guides the dolphin in the right direction." Bottom line - positive reinforcement trumps anger and criticism! There is a quote by an unknown author that says "A great relationship is about two things, first, find out the similarities, second, respect the differences." One of the reasons I fell in love with my hubby was his creative mind so why do I often find myself getting frustrated with that very same skill which used to make my heart skip a beat? I believe this happens mostly out of fear. Fear that things are not going the way you planned or that you can't control the situation. It can also be fear of not being loved the way you want to be loved. This fear turns us into nit picky, highly critical and emotional (even angry) women! Which in turn causes are partners to feel undervalued, upset or even cynical. How do you change this and does it mean you can never be frustrated with your differences? "In a relationship, both partners should be able to share anything, anytime. The key is to approach it while in a beautiful state. That means, convey and receive with love. Express how you feel without attaching stories or making accusations. And listen with absolute compassion with the sole goal of helping your partner feel understood and cared for." Also I believe that if we are role modeling a more effective way to disagree in front of our children, they will thrive in the differences as long as they see harmony and respect between the parents. Bottom line - come from a place of love. A friend of mind recently traveled to India and one particular memory that she shared with me really relates to this tip. Her story had to do with a famous swinging bridge in Rishikesh which is a very popular tourist attraction. During rush hour this bridge is apparently as tightly packed as a NYC subway. Yet it is not only crammed with pedestrians, but also motor bikes, bikes and even cows. In fact, on the day she visited the bridge, she found herself stuck in the middle of the crowded bridge due to a lazy cow which decided to lay down in the middle of the bridge. Now if you are aware of the Indian culture and the Hindu religion then you are familiar with the fact that cows are considered sacred animals. As a result, you are not to disturb the cow, but instead wait for it to move. You can most likely imagine how challenging this might have been during such a busy period. At one point, my friend recalls that she became acutely aware how stuck she was without any control over how long she could be standing in the middle of this swaying bridge. One might start panicking but she knew that it was only a matter of time and she would be on the other side of the bridge. So she decided her only real option was to wait and just let go, spending time enjoying everything that was happening around her. As a result, she found herself falling into a state of peace even amidst all the chaos around her. Bottom line - find a way to be at peace with all the chaos around you, knowing that this too will pass. So what do you think? How do you find ways to create healthier and happier relationships with your partner? Please share your comments!